On a blank check with the same business name and account data that you listed in Section 3 and where you wish the deposits to be made, print VOID on the check. NOTE: Do not cover up the numbers at the bottom of the check. Fax the entire application (four pages) and the voided check to: (714) 838-8032 for initial review. We will contact you to discuss and complete the remaining sections. Your application will then be sent to First Data underwriting. No changes and/or cross-outs are permitted on the application. In Section 1, Merchant Information, be sure to provide your Federal Tax ID#. If you don't have a Federal Tax ID#, provide your Social Security Number (SSN). Do not enter any information in Sections 4 (Marketing Method), 5 (Equipment/Software), 6 (Site Inspection), 9 (Optional Services Fee Schedule), 11 (Initial Term of Merchant Agreement), and 12 (Third Party Agreements). We will complete these sections with you as part of the interview process. If you currently accept credit and/or debit cards for payments at your store location or online, you must complete Section 7. Print your name and sign Section 13 (Signatures) and provide the data required including the date. NOTE: Either before or after printing, we highly recommend you save a copy of the application as a backup. Online merchant accounts that process less than $10,000/month may be approved within 12 – 48 hours. Accounts that process over $100,000/month may require further follow-up. Protect your business and your customers from rising security threats today! 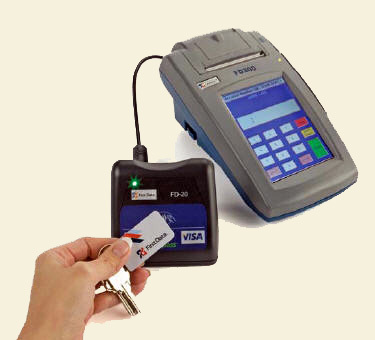 The Payment Card Industry Data Security Standard (PCI DSS) is an information security standard for organizations that handle cardholder information for major debit, credit, prepaid, e-purse, ATM, and POS cards. The current version of the standard is version 2.0, released on 26 October 2010. PCI DSS version 2.0 must be adopted by all organisations with payment card data by 1 January 2011, and from 1 January 2012 all assessments must be against version 2.0 of the standard. Note that effective Nov 7, 2011, the penalty fee for PCI non-compliance was raised from $19.95 to $24.95/mo. NOTE: There are additional guidelines for wireless environments.